LYNCHBURG, Va. (AP) - The Rev. Jerry Falwell collapsed at his campus office and died Tuesday after a career in which the evangelist used the power of television to transform the religious right into a mighty force in American politics. He was 73. The founder of the Moral Majority was discovered without a pulse at Liberty University and pronounced dead at a hospital an hour later. Dr. Carl Moore, Falwell's physician, said he had a heart condition and presumably died of a heart rhythm abnormality. 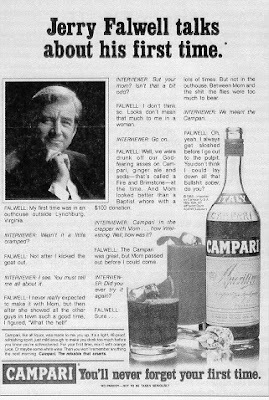 The late Jerry Falwell was no fan of what he saw in show business. The former spokesman for America's Moral Majority once criticized the popular children's show Teletubbies because he believed one of the characters, Tinky Winky, is gay. 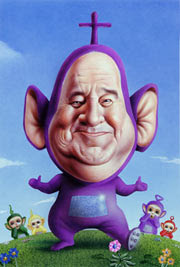 Falwell "outed" Tinky Winky in the National Liberty Journal in February 1999. REHNQUIST, C. J., delivered the opinion of the Court, in which BRENNAN, MARSHALL, BLACKMUN, STEVENS, O'CONNOR, and SCALIA, JJ., joined. WHITE, J., filed an opinion concurring in the judgment. KENNEDY, J., took no part in the consideration or decision of the case. The rumors and so-called "proof" are LIES! The Rev. 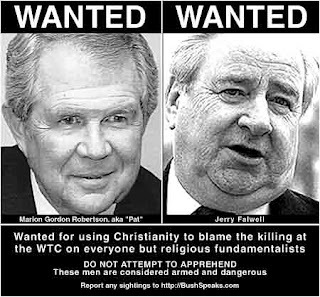 Jerry Falwell was NOT A HOMOSEXUAL!! !